Have you been charged with driving under the influence (DUI) of alcohol or drugs in West Virginia? Angotti & Straface Attorneys at Law L.C. has been the trusted law firm of thousands of residents in Morgantown and Monongalia County, WV, who have been charged with DUI and DUI-related offenses since 1952. If you have been charged with DUI, the case against you has already been prepared based on the patrolman’s observations of your driving patterns, as well as any testing and interactions with the officer that you may have had. The penalties for DUI can be crippling. Contact our law office right away for skilled DUI legal representation and defense. 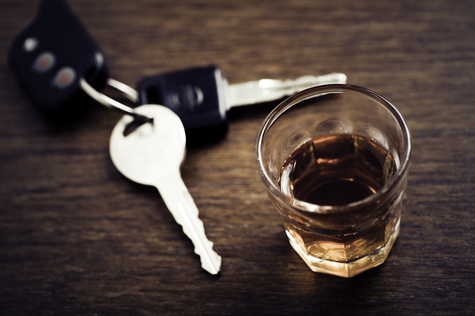 What is the Blood Alcohol Content Limit for DUI in West Virginia? In West Virginia, it is unlawful for any person to operate a motor vehicle with a blood alcohol content (BAC) greater than 0.08%. However, all motor vehicle operators living in, or traveling through, West Virginia should be aware that individuals may still be charged with a DUI even if their BAC is below the legal limit by exhibiting any signs consistent with being under the influence. Additionally, an individual who exhibits no signs of driving under the influence may be charged if testing shows a BAC of 0.08% or greater. Be aware that although state law mandates that you comply with a BAC test, it does not require you to submit to any field sobriety tests. You may politely refuse any such request. Our law firm aggressively fights for your rights. *You must obtain a West Virginia SR22 insurance policy to enter the Test and Lock program or to have your license reinstated. Prior to reinstatement, you must also pay the license reinstatement fee to WVDOT. IF THIS IS NOT YOUR FIRST DUI OFFENSE CHARGE, PENALTIES MAY BE VIEWED HERE. Contact Angotti & Straface Attorneys at Law at: (304) 292-4381. We offer a free initial consultation to those charged with a first time DUI.